The Elder Scrolls V: Skyrim surely is one of the most popular games ever made, and has hit many platforms since its debut in late 2011. And part of the game’s success has to do with the fact that the game can be modded, that is users can change many aspects of the game to their heart’s content, with people so far having released countless user mods which do anything from adding new weapons to the game, new characters, improve Skyrim’s looks, while there are also complete overhaul mods such as Enderal which offer a completely new experience separate from the main game. Other mods such as Project Rainforest (which is available for download from Nexus Mods – via PC Gamer) change Skyrim’s climate, and will be a great addition to their game for those who prefer more temperate weather rather than Skyrim’s icy cold one. 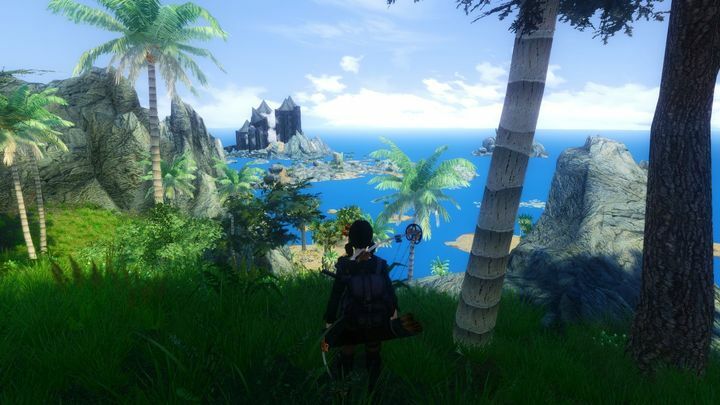 You’ll also see the people of Skyrim wearing lighter, more appropriate clothing for the new tropical climate with this mod installed, while the new landscapes you’ll get to wade through, such as swampy areas and rainforests, will be quite different from those you’ve gotten used to see in the standard game. Do note that this mod was made for Skyrim’s Legendary Edition, meaning you’ll need to have all the DLCs released for the game installed in order for this mod to play ball as the author explains on the mod’s page. But still, this could definitely add some variety to your Skyrim sessions, especially if you’ve been playing so long that you’ve grown tired of the game’s snowy weather, and it would no doubt be a great thing for fans of Bethesda’s game if more interesting mods such as this one keep hitting the Internet in the future.